The liaison between the silicon chip and the stethoscope is not a new one. Healthcare’s propensity to embrace technology for greater efficiency is evident from the rapid adoption of IT in the industry. 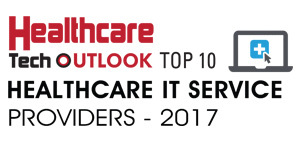 While the technology advances have become a low-hanging fruit in healthcare, the in-house IT teams have a long way to go to stack up the essential skills and tools to protect IT operations from breaches and compliance risks. In this hour of need, DKBinnovative—an expert in healthcare IT— helps the healthcare sector rise above the ashes of their IT concerns. “We take a ‘CTO approach’ to understand the technology and a ‘CIO approach’ to set up the perfect strategy for a long-term success with regards to compliance, security, and IT,” explains Keith Barthold, the CEO and president of DKBinnovative. Their vast experience includes working with over 60 hospitals and 200 medical practices. Understanding the criticality of IT within the healthcare industry, DKBinnovative provides reliable and highly secure managed IT solutions with a focus on increasing productivity, performance, and security throughout the organization. Having spent thousands of hours in understanding productivity bottlenecks, the company combines traditional managed services with managed security service to provide a single suite of solution that comprises a comprehensive set of best practices required to efficiently manage the healthcare IT requirements. “We work hand-in-hand with clients to identify their unique requirements related to security and compliance and address the challenges in adhering to numerous regulations such as HIPAA, HITECH, and PCI,” adds Barthold. DKBinnovative’s one-stop-shop capability not only provides clients with comprehensive services for building leadership and strategy, charting future roadmaps, and creating budgets, but also facilitates a partnership which allows clients to leverage the strengths of their in-house IT teams. DKBinnovative establishes ‘best practices’ and realigns the existing infrastructure using the right people and tools based on the vulnerabilities and misalignments within the entire organization—mitigating all the risk areas. “We enable clients to leverage the latest cloud technology and help them realign their existing network infrastructures with added scalability,” explains Barthold. The team also conducts onsite continuous gap analysis against the predetermined best practices, thus enabling the user to automatically resolve the setbacks before it impacts overall productivity. The result was doubled bandwidth with a $20,000 annual savings for the company. DKBinnovative is undoubtedly a frontrunner in the managed IT services sector in this new wave of opportunities clearing a path for massive technology adoption in the healthcare industry. With a vision to further enable collaboration and best practices in the healthcare sector, DKBinnovative is now working on delivering the highest level of transparency within the organization through dashboards and reporting—empowering executives to monitor their IT environments in real-time. The company further envisions displaying real-time encryption levels in order to easily predetermine vulnerabilities within their clients’ organization. Adding to its plethora of capabilities, “DKBinnovative intends to enable a self-healing IT service using automation techniques to resolve issues before it can negatively impact the organization,” concludes Barthold.